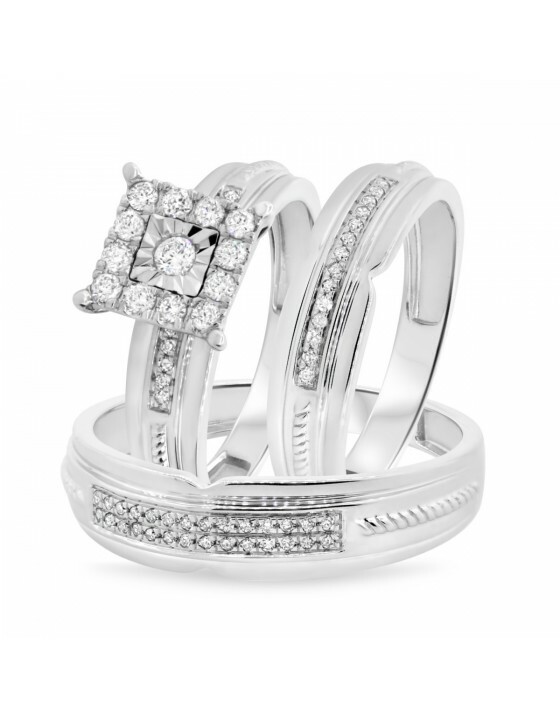 A solitaire or diamond cluster is surrounded by a row of diamonds allowing for a spectacular big look at an affordable price. 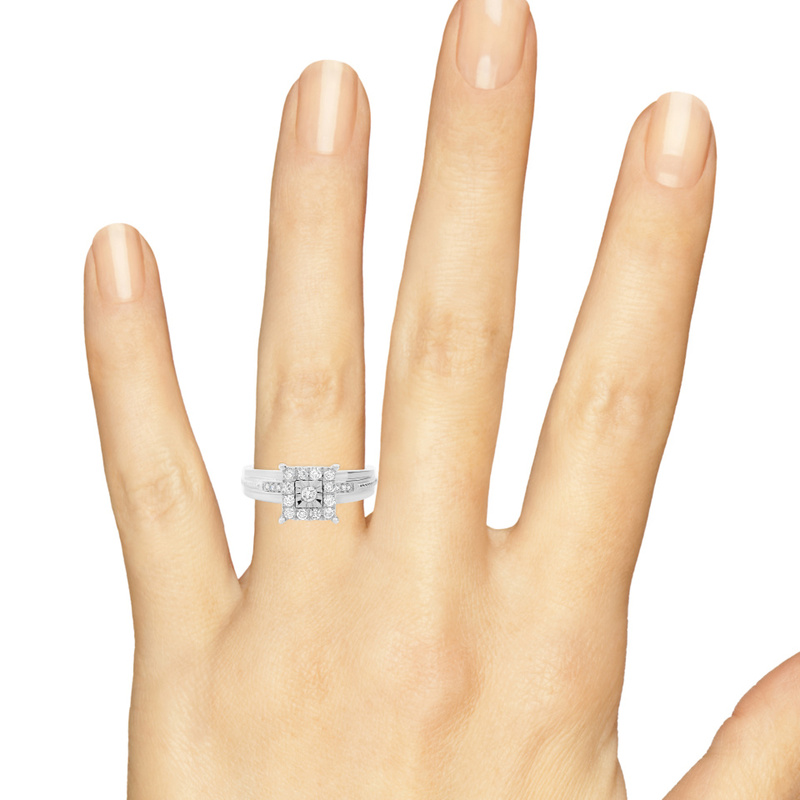 A faceted gold plate (miracle plate) surrounds the center diamond allowing for the look of a solitaire diamond at a fraction of the price. 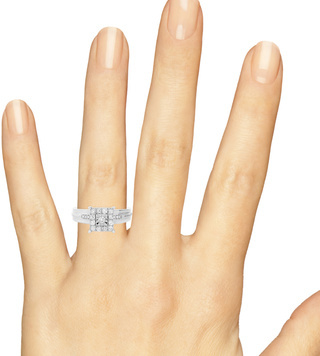 This gorgeous diamond engagement ring will be the center of attention among your accessories. Its the perfect choice for a woman looking for unique and affordable engagement rings that stand out from the norm. 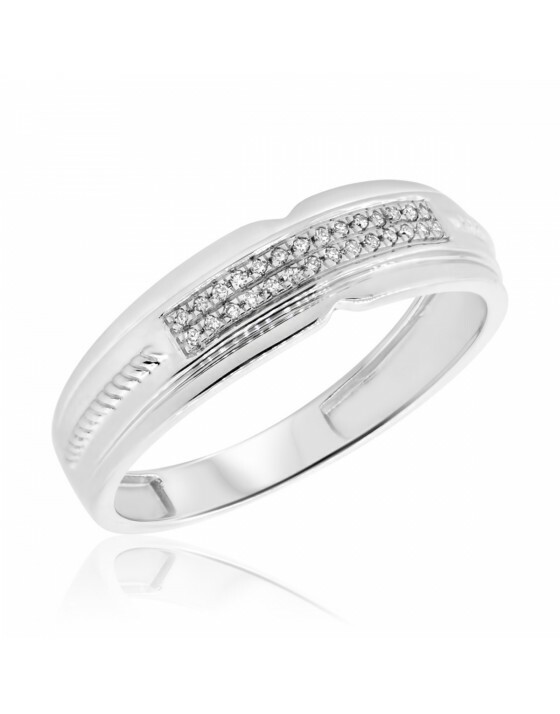 It features 23 diamonds, weighing 1/3 carat, within an illusion center setting and the detailed 10K White gold band. 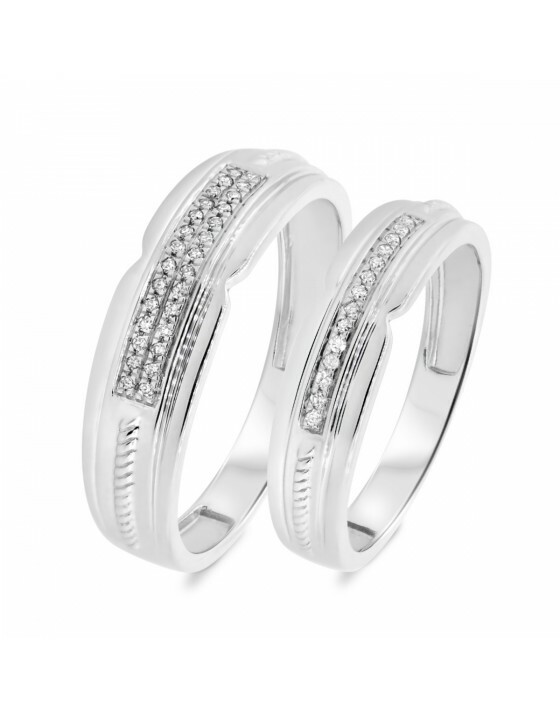 Its easy to love the original style of this diamond wedding ring for women. 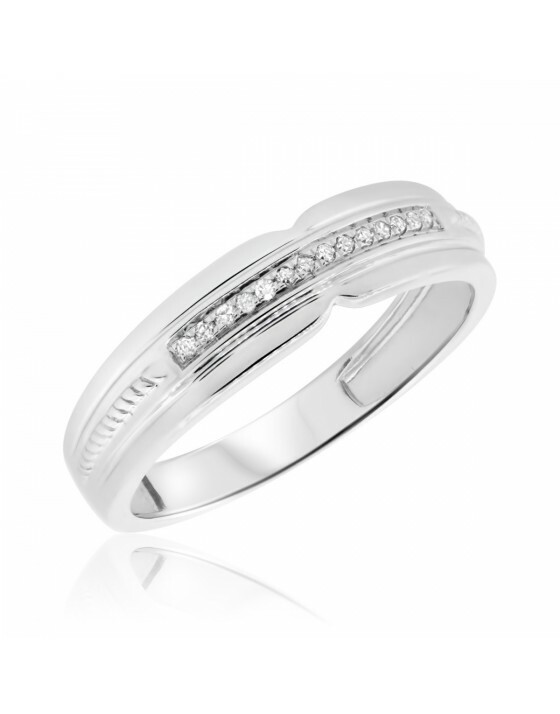 The 10K White gold band is unique with its intricate carvings and its indents on top and bottom. 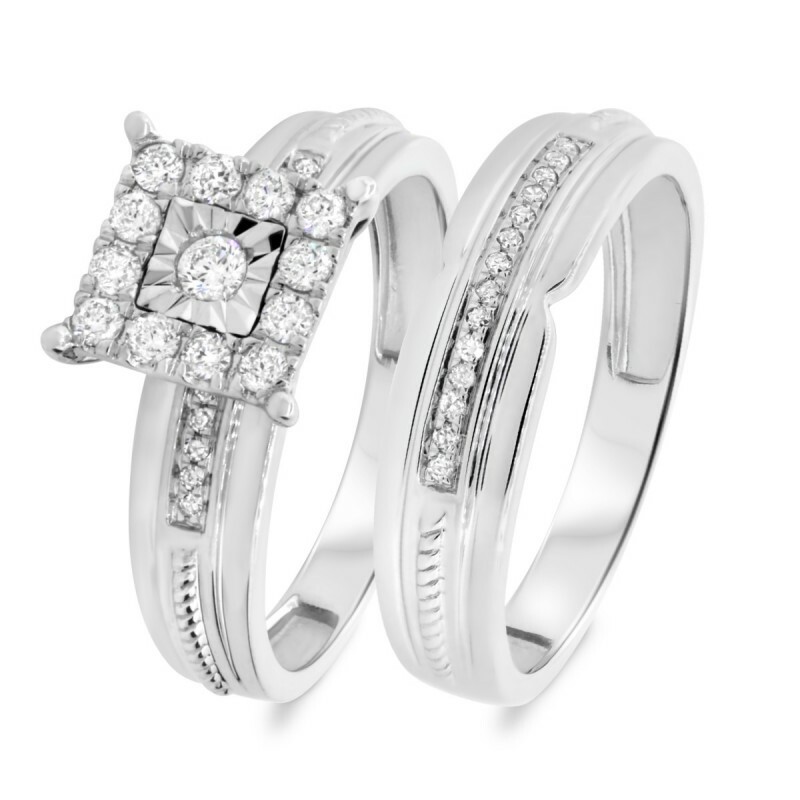 Round diamonds, with 14 in all weighing 1/20 carat, add luster and glamor to the ladies wedding ring.